Gabriel Fitzmaurice was born, in 1952, in Moyvane, Co. Kerry where he still lives. He teaches in the local Primary School. A former Chair and Literary Advisor of Writers’ Week, the Writers’ Conference in Listowel, Co. Kerry, he is author of more than twenty books, including poetry in English and Irish, children’s verse in English and Irish, translations from the Irish, essays, and collections of songs and ballads. An award winner at the Gerard Manley Hopkins Centenary Poetry Competition, he has twice represented Ireland at the European Festival of Poetry in Louvain, Belgium. A musician and singer, he has played and sung on a number of albums of Irish traditional music. 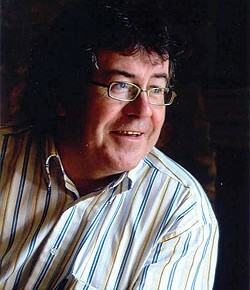 He frequently broadcasts on Irish radio and television and local radio stations on education and the arts.